I decided we needed a project for 2007, so started a Row by Row quilt. I decided to let you decide which size quilt you wanted to make, and offered blocks that were 6 1/2 inches and 12 1/2 inches unfinished. 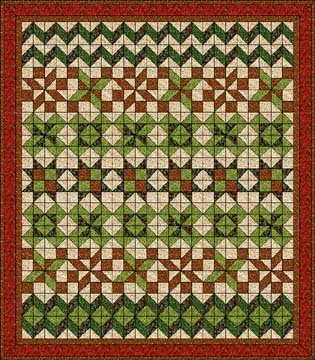 Now we could have made our row by row a themed quilt, but I decided to just use blocks, either new to Delaware Quilts or ones that were already in the BOM collection. Since you were making your own row by row, you got to chose how you wanted yours to look. And there are certainly plenty of blocks here to choose from if you didn't like what I used for my rows. I used the same fabrics in each row, which gave the quilt a uniform look. 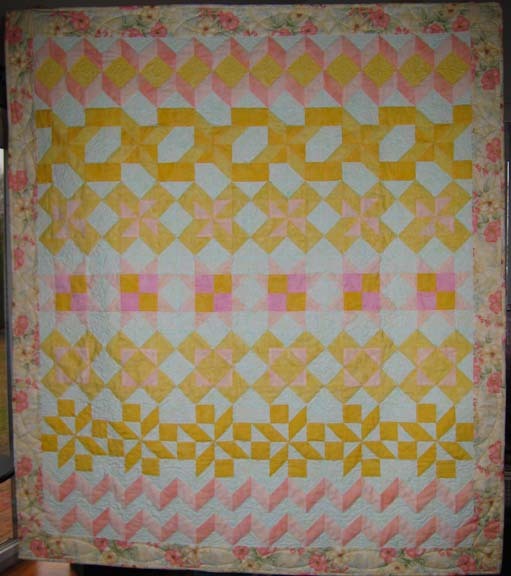 I used Batiks from my stash which were all lighter in color, I was sort of going for a baby quilt look. 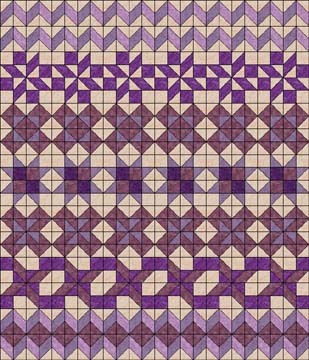 My quilt was made using 6 1/2 inch blocks, and I have 6 blocks in each row. 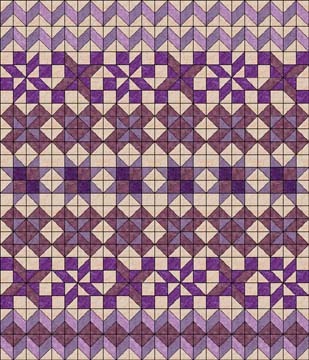 The quilt is 7 rows long and the center finished about 36 by 42 inches. When looking for border, backing and binding fabrics I found what you see here, which to me matched perfectly, and complimented what I used in the center. I used six different fabrics in my center, with all blocks having a common background. My quilter did an excellent job in finishing the quilt when she stippled all the background, which made the patterns stand out. I wasn’t 100% happy with the quilt until she finished quilting it, and now I love it. Here are EQ diagrams of two ways you can set your Row By Row, my favorite is on the left. 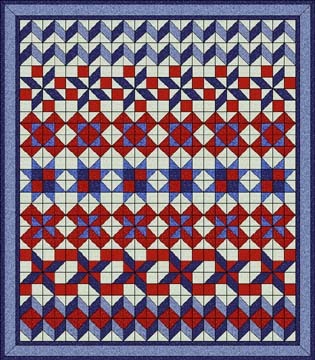 this quilt would look in red white and blue. I think it would look super! I would love to see some of your finished row by rows if you would like to share photos, you may email them to me. 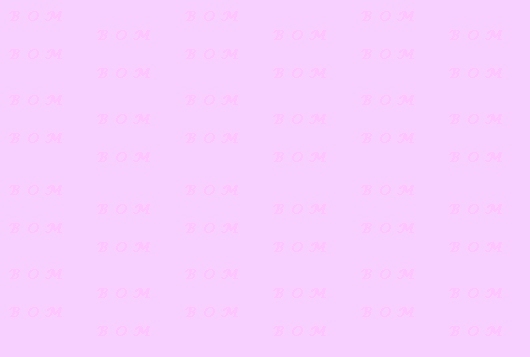 I hope you've enjoyed this project as much as I have.